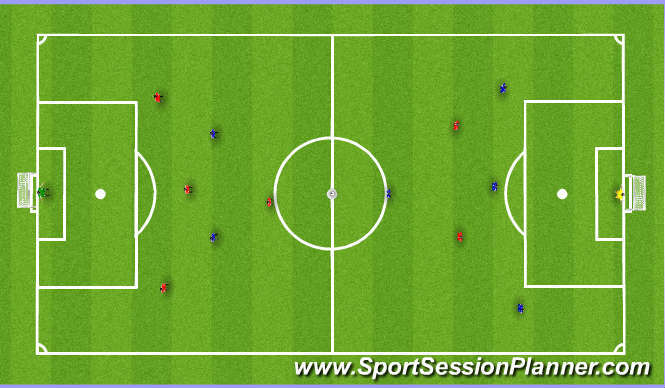 This is to finish off a passing and moving session which had progression. For first stage of the game only the two attackers are aloud in the opponants half meaning they have to come to halfway to recieve or make space around the defenders. After this progress the game to any player can go anywhere on the pitch but use restrictions such as two touch meaning that the players have to pass the ball and move. To finish the game take restrictions off and see if they have learnt what you have taught in the session. Coaching points: Quality of passing, movement, finishing.